Selfie – Let’s face it, the word is in the dictionary, the President and the Pope have both posed for them- this isn’t a fad; it’s a phenomenon. Selfies aren’t all about teenaged vanity and angst. Savvy business owners are seeing the potential in this for everything from networking to advertising. Candid shots of people in your store, enjoying your products, employees working, events, etc. are just the beginning of what you can do with selfies. While the focus should be on your customers—they’re also your social media audience—small business is and should be personal. Don’t be afraid to share selfies of you or your employees on the job, at a community event, or with new or featured products. You are the face of your business, and in small business, people are key. National brands have gained notoriety for paying celebrities to snap selfies with their products, but small business owners can achieve the same effect on a local level—and for a lot less money. If your business has a regular customer who’s well known in your city (think politicians, news anchors, athletes, etc.) and is social media savvy, ask if he or she would snap a selfie at your business or with your product. Use selfies in conjunction with contests and promotions. Have patrons post selfies with your products or enjoying your services, and use it to give prizes, discounts, or other rewards. Use selfies for networking. Instead of handing someone your business card, hold up your phone and ask if you can take a photo together. Get them laughing, take the selfie, and offer to send it to them. Now you have their contact information. A lot of relationship building can happen in an instant using this method. To find out how your business can harness the power of social media, contact us at www.spitfiresocial.com. 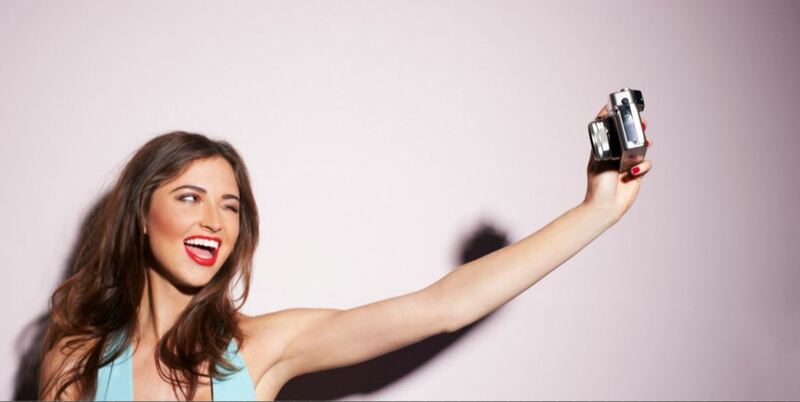 Just because we encourage using selfies doesn’t mean you have to do it by yourself! Take advantage of our experience and knowledge to make your brand the best it can be.